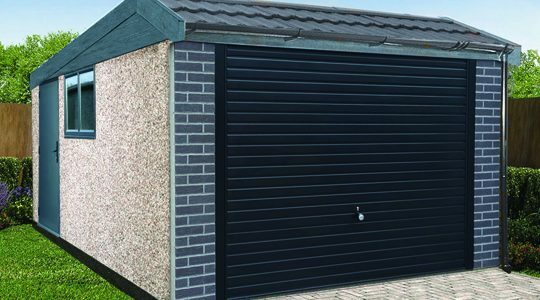 Launched back in 2013 the Deluxe range brought together a host of key features supplied as standard resulting in the ultimate maintenance free concrete garage package. 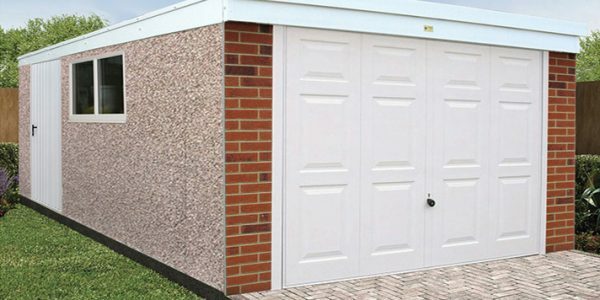 At Lidget Compton we understand that with so many different building shapes, styles and options available, choosing your new concrete garage or shed can be a daunting prospect. 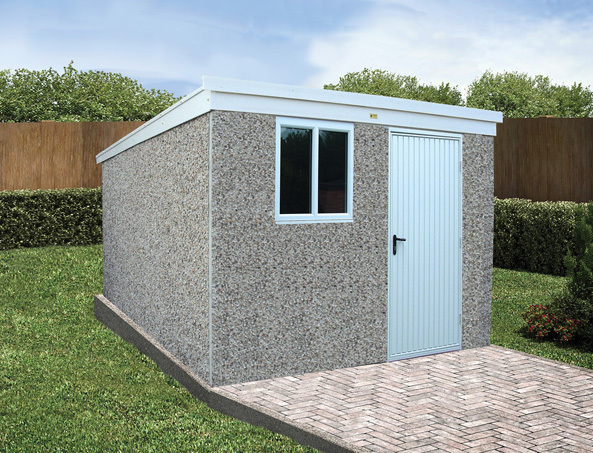 The Deluxe range was developed to remove all the guesswork in getting your perfect building. So all you really need to decide is what style of building you want and what size you want it! Supplied with a range of PVCu features, there is no timber to stain or paint every year. A simple wipe down with soapy water is all the maintenance required to keep a Deluxe building look as good as the day it was built! 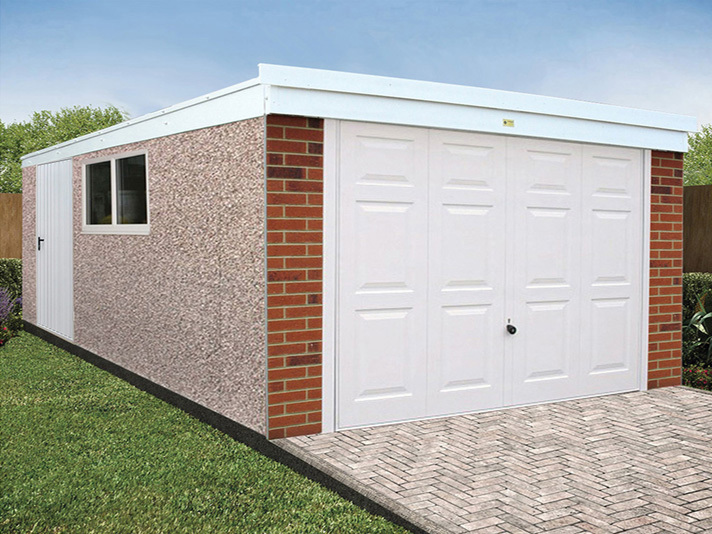 Deluxe buildings are available in a variety of different styles; Pent, Pent Mansard and Apex garages or as Pent and Apex sheds. They are also available in standard form with white PVCu features. 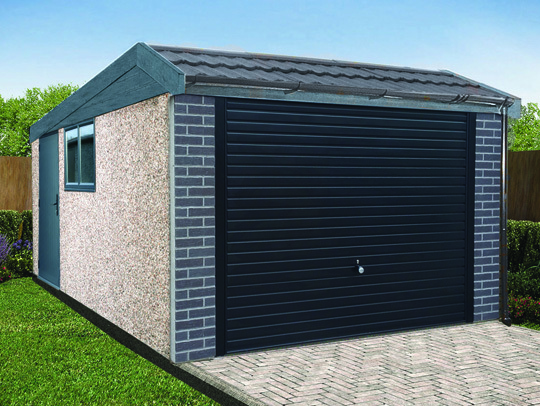 A Deco Deluxe which boasts wood effect PVCu features and the Anthracite Deluxe with anthracite coloured PVCu features. 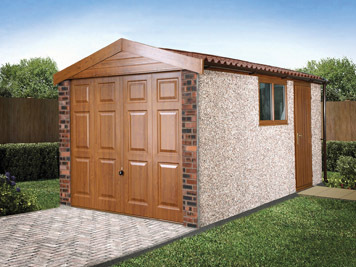 The Deluxe range is available exclusively through our network of nationwide building specialists. You won’t find it on our quotation builder. Use our handy Agent Finder to locate your closest approved garage expert. They can give you expert advice on the whole Lidget Compton range. The following are supplied as standard. Real Brick in a choice of 4 colours. (anthracite models supplied with Anthracite colour). Georgian style up and over door with security enhanced 4 point locking. (Anthracite models supplied with black horizontally ribbed door). 3′ wide steel vertically ribbed personnel door with multi point locking. Pent & Mansared: Robust C section galvanised steel rafters supporting a galvanised steel roof, with Grafo-Therm anti-condensation treatment and no joins. 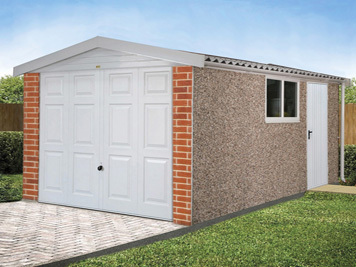 Apex: 12.5° pitch roof with fibre cement roof sheets in a choice of colours with close fitted ridge and eaves filler. 4′ PVCu fixed window (see above for colour options).